We owe the residents of Bonita Springs the highest quality service possible, characterized by responsiveness, integrity, and professionalism. We will continually strive for quality improvement. We owe the Bonita Springs Fire Control and Rescue District our full commitment and dedication. We will always look beyond the traditional scope of our individual positions to promote teamwork and safe organizational effectiveness. We owe ourselves personal and professional growth. We will seek new knowledge and greater challenges and strive to be at the leading edge of our profession. The District will focus its efforts on responding rapidly and safely to emergencies, providing appropriate interventions, community outreach, and rigorous training to constantly improve our safety, skills, and readiness. Develop or improve our organization to effectively administer and manage the resources of the District. Develop or improve a system for minimizing the impact of fires, disasters, and other emergencies on life and property. Provide an effective Emergency Medical Service to lessen the morbidity and mortality of the sick or injured. 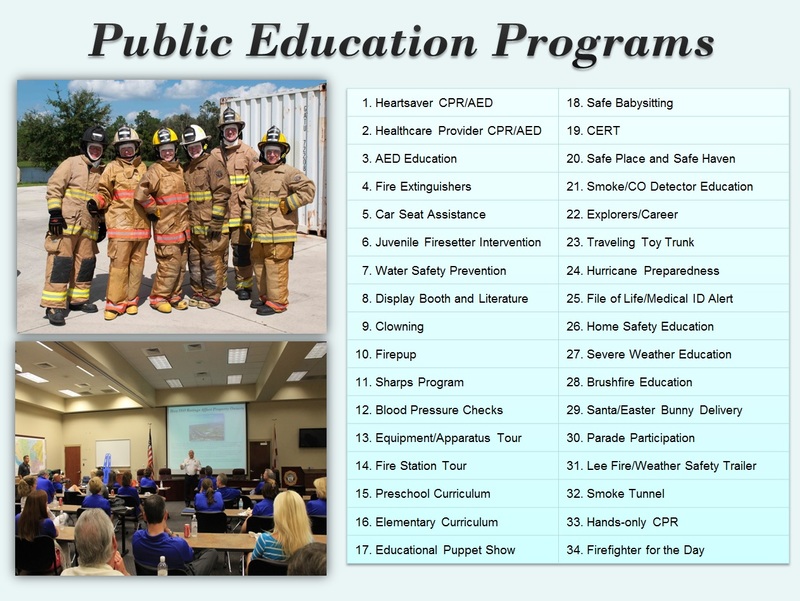 Provide an effective Fire Prevention and Public Education System to improve the quality of the lives and safety of the citizens we protect. All personnel and staff will do their best, enjoy their job, and promote safety for themselves, their co-workers, and the organization.